Online Programs - Welcome to 2B! 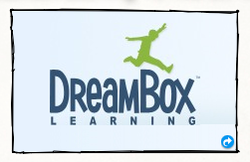 We have a new math program named DreamBox Learning! It uses virtual manipulatives to help us visualize what is happening in the problems we are solving! It is so much fun to learn math this way...guess you could say it is a Dream! Right now we can play at home too! Just remember, your teacher knows if you really try or if you spend too much time in the Arcade Area! Parents, click on DreamBox Learning to find out more about this exciting program. Kids, click the "online Programs" navigation bar to find your access to this site. Raz Kids is an online reading program for our boys and girls to practice reading fluency, comprehension, and have some plain old fun. These animated books are leveled to suit your child and will be used during center time to enhance our guided reading program. Students may access the site from home as well to earn stars and build their very own rocket ship. Remember, the reading on Raz-Kids counts for the 10 minute reading homework. Click on the "Online Programs" navigation bar to find your access to our site. This year we are beginning an exciting program called Fundations. This program incorporates word study, fluency, comprehension, and spelling into one. Students will receive daily lessons in how words are ‘put together’ helping them to be both better readers and spellers. We are focussed more on how to read and spell words than memorizing them. There will be no specific word lists sent home each week rather work with unit words will take place in the classroom and on classroom computers via the Spelling City website. Students will be evaluated on their ability to work with words and make word families based on rules taught at the close of each unit. More can be found on the Fundations website and activities can be accessed below by class on Spelling City both at home and at school. Click the Vocabulary-Spelling City icon to find out about this program. Kids, click on the "online Program" navigation bar to find your access to the site. Starfall is a site where students can really get back to basics with letter sounds and phonics rules. It is mixed with stories and activities to reinforce skills as students find they need to 'brush up". Parents you can click on the icon for Starfall to investigate this program. Students use the "Online Programs" navigation bar to access the site.